During any divorce or dissolution of a legal-relationship process, one of the most important, and often contentious issues is that of child custody and parenting time. Usually both parents will want to play as important a role as possible in the lives of their children, so it can be difficult to decide issues like legal custody, physical custody, and parenting time. If parents are unable to come to an agreement, either through negotiation or through court-ordered mediation, it may become necessary to undergo what is known as a child custody evaluation. Child custody evaluations can be ordered by a judge when parents cannot come to an agreement, or can be performed in the case that both parents believe it is necessary. When it comes to child custody evaluations, parents are understandably concerned about the cost and who will pay for it, which evaluator to choose, and how the process works and their role in that process. At Del Sardo & Montanari, our attorneys have extensive experience guiding and advising clients across Woodland Park, Clifton, Wayne, West Milford, and the greater Passaic County area through the entire child custody evaluation process. Contact our firm today to speak with our attorneys in a free and confidential consultation regarding your child custody and parenting time concerns, or a child custody evaluation. Who Will Perform My Child Custody Evaluation in Passaic County? 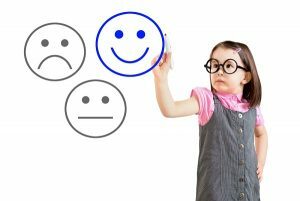 Child custody evaluations are usually performed by a mental health professional (usually a psychologist) who is specifically trained in reviewing family situations, and making a recommendation to the judge regarding a child custody and parenting time plan that they believe is in the best interest of the child or children in question. When choosing a child custody evaluator, many different options are possible. If the relationship between the parents is particularly contentious, a judge may appoint a child custody evaluator to your case, or give parents an option to choose several different evaluators. You may also wish to speak with your Passaic County child custody attorney about hiring a private child custody evaluator, and any specific recommendations they may have. If both parents can agree on the hiring of one evaluator, in which case the judge will most likely go along with this choice. Keep in mind however, that private evaluators tend to be much more expensive than court-appointed evaluators, with court-appointed evaluators usually costing somewhere between $1,000 and $2,500, while private evaulations can cost as much as $10,000! If you want to find out more information about a specific evaluator, either one presented as an option by the courts or one recommended by the judge, it is highly recommended that you speak with your attorney, rather than the evaluator directly. Anything you say directly to the evaluator can change their opinion of you, so it is much better to have your attorney do the research rather than you directly. Finally, it is possible for parents to each hire their own evaluator if they cannot agree to a single one. What Is a Child Custody Evaluation in New Jersey? Once the evaluator has concluded all of these steps, they will draft a recommendation regarding what they believe is in the child’s best interest in terms of child custody and parenting time with both parents. While this evaluation is not binding, judges give great weight to and take these recommendations extremely seriously when making their ultimate ruling. What Should I Do During the Child Custody Evaluation Process? Before undergoing the child custody evaluation process, it is highly recommended that you speak with your attorney regarding your rights and best options moving forward. In general however, you should just be yourself, and trust that the evaluator will see the positive role you play in your children’s lives. If however you have any reason to feel concerned during the child custody evaluation process, either because the evaluator appears to have a bias against you, or is asking inappropriate or leading questions, it is important that you notify your attorney immediately. Your attorney can help you address these concerns, critically before the final evaluation is submitted, since if you wait until after the evaluation is completed to raise concerns, those concerns may be discounted in the belief that you simply do not like the evaluator’s ultimate recommendations. When it comes to child custody evaluations, our attorneys understand just how stressful this process can be, and we are prepared to provide you with the guidance and support you need during the entirety of this process. From understanding your legal rights and obligations, to choosing an evaluator, to ensuring that the evaluation process is un-biased and fair to you, our attorneys can be a source of immense support to you when it comes to child custody evaluations. To speak with our family law firm today in a free and confidential consultation regarding your child custody and parenting time agreement, a child custody evaluation, or modifying an existing child custody and parenting time agreement, please contact us online, or through our Woodland Park, NJ office at (973) 233-4396.